Home / Catalog / LIGHT TOWER PRODUCTS / PORTBLE LED LIGHT TOWER KITS. PORTBLE LED LIGHT TOWER KITS. 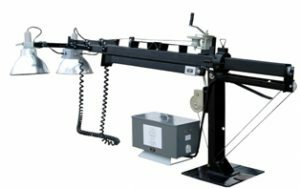 PORTBLE LED LIGHT TOWER KITS can be attached to portable diesel generator trailers, portable welding machine trailers or portable service utility trailers. 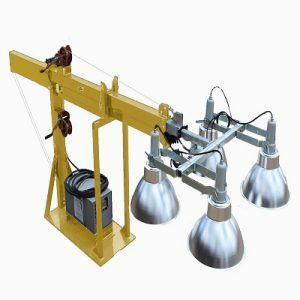 These tower kits can be designed with 20′ to 30′ telescoping towers with up to four LED spring mounted floodlights. The LED floodlights are equipped with a 50a, 125/250v, spider plug that the mating receptacle is found on most portable generators sets. These towers can be supplied with vertical tower only or with pivot to vertical lift towers. The control boxes can be attached to the tower base or can be supplied for remote positioning. Towers can be ordered with 360* rotating features plus with electric powered telescoping winch systems. Most common application is for attachment to service utility type trailers. 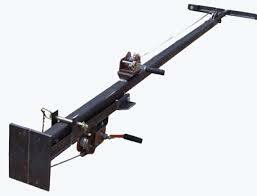 These types of trailers are used in most trade crafts where remote service requirements are needed. 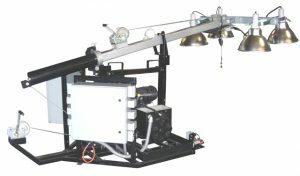 Bossltg can special design PORTABLE LED LIGHT TOWER KITS to meet clients specific needs.